Certain elements of the Mega Man formula didn't come along until later installments. This first game has a few features that were ultimately deemed unnecessary. For example, there's a scoring system that must have been implemented because that's what people expected from games of the era... but it doesn't seem to have any direct impact on the experience. 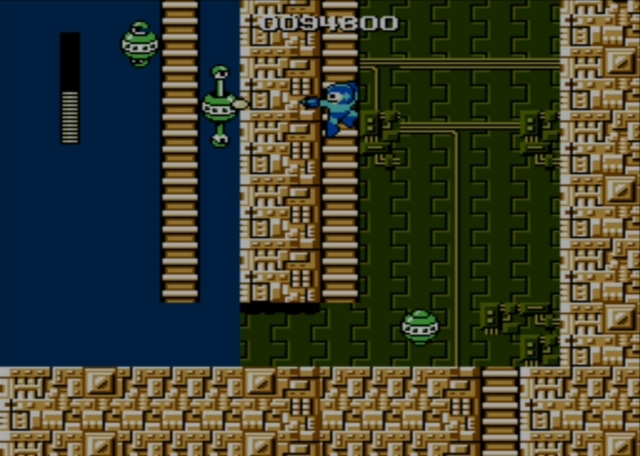 Typically, a Mega Man game will have players advance through an initial eight stages in the order of their choosing, before facing subsequent stages that follow a linear path. 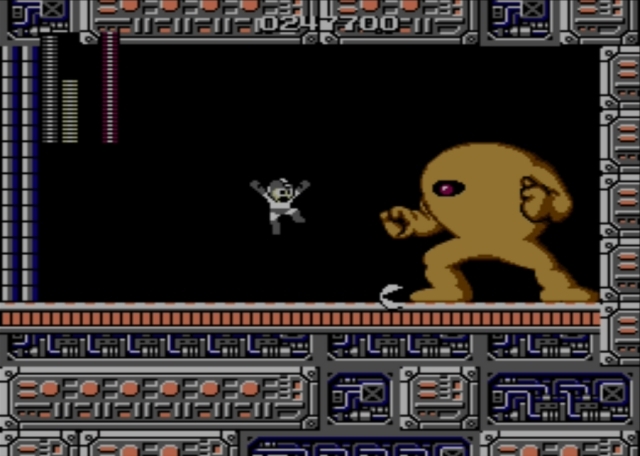 The original Mega Man instead began with only six introductory stages, and a shorter linear path thereafter, but it's no less difficult for its brevity. Unlike a few (but not all) of its sequels, this original game allows you to revisit robot master stages as you are progressing through them, which is useful in one particular case because there's a crucial item you may initially miss (if not following this guide, that is). In every subsequent Mega Man game, you receive passwords as you progress. That allows players to put the game down and return to it at a later date. 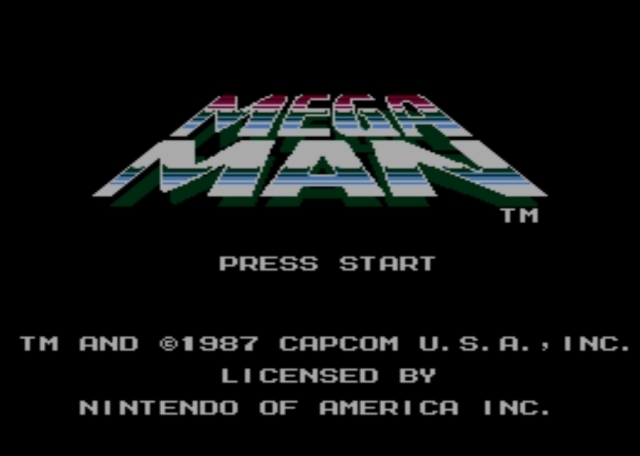 Mega Man offers no such luxury; you have to play through it all in a single session (or rely on updated versions to keep track of your progress on your behalf, if playing on newer hardware than the NES). 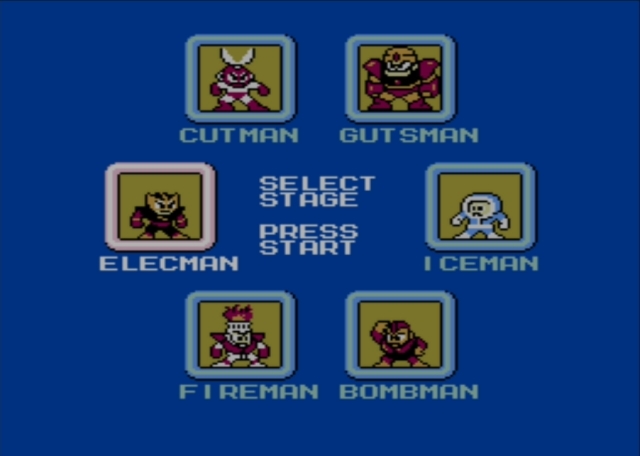 As you defeat the six robot masters, you gain the ability to use their attacks. This you achieve by pausing the action and selecting a different skill. Note that special weapon use requires special weapon energy, and drains a special meter that appears while the selected ability is activated. You'll need to use your alternate attack sparingly, or find special weapon tanks to refill your meter. Fortunately, your standard weapon (which goes by several names in franchise lore, but which is in this guide refered to as the "arm cannon") is usually up to any task you face. Mega Man can run, jump, shoot, and climb ladders. Those are his only abilities. In later games, he learned to slide and charge his weapon, but there will be none of that fancy stuff here. The developers kept things at their simplest. When Mega Man is near a ladder, it's worth noting that some additional rules apply. If he is on the ladder, you can press the jump button to loosen his grip. He'll fall straight down in a hurry, which is sometimes useful. Enemy shots also knock him from his perch, so beware. Sometimes, they can knock him into a pit or a bed of spikes, and either of those hazards is immediately fatal. Make sure you're always careful around ladders, but also make sure you watch for opportunities they give you to sneakily attack your enemies. Another note of interest: this game has both a pause function and a menu. On the NES, pressing "SELECT" pauses the game. If you repeatedly pause and un-pause the action as a weapon is passing through an enemy weak spot, you can cause the weapon to inflict damage multiple times, which feels almost necessary to survive some of the battles waiting near the game's end. The ridiculous advantage this glitch gives you is only slightly off-set by another fact particular to this first installment: even if you are temporarily invulnerable because you took damage from a nearby enemy, touching a spike is always fatal. That should be enough information on the game's intricacies to get you off and running. Let's get to work!